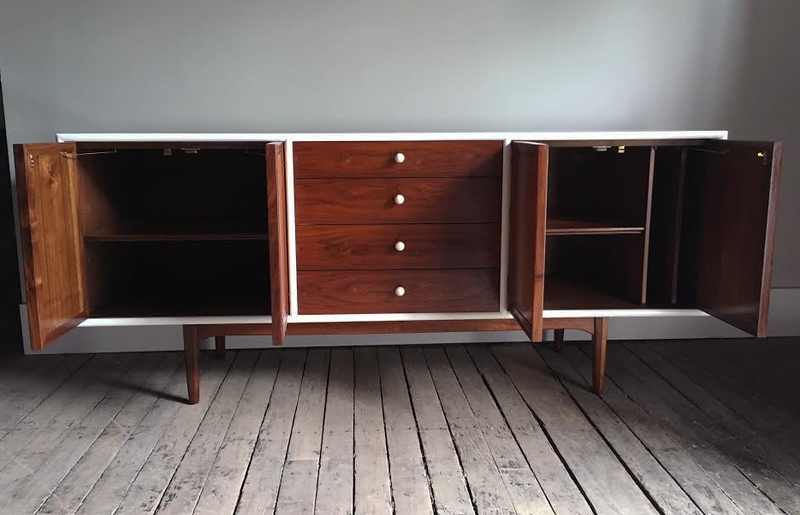 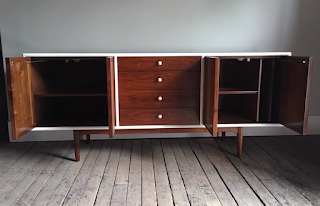 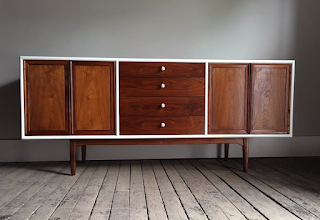 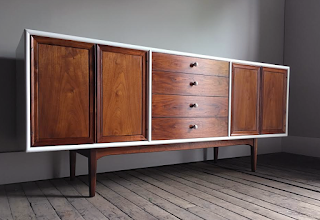 This beautiful walnut sideboard was designed in the 1950s by Kipp Stewart and Stewart McDougall for Drexel. 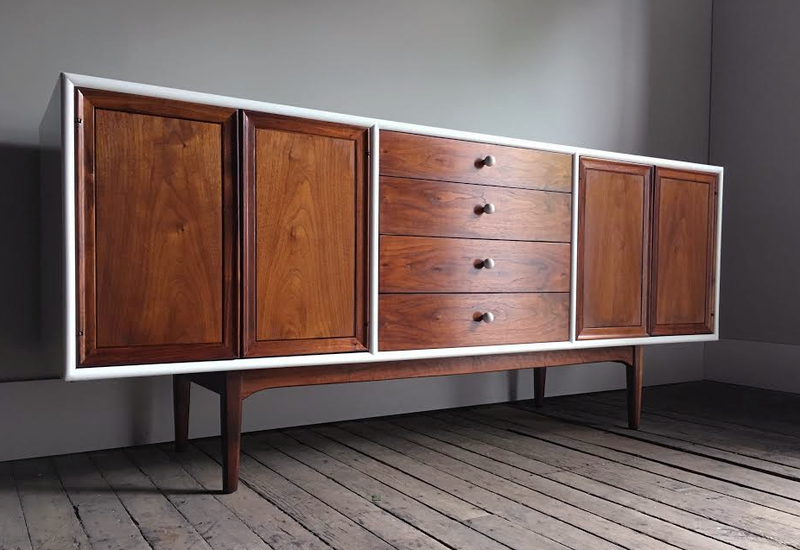 The sideboard has 4 dovetailed drawers (with original ceramic knobs) flanked by cabinet doors with adjustable wooden shelves. 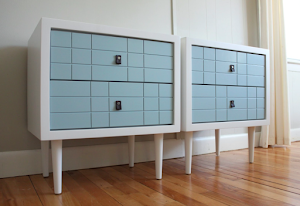 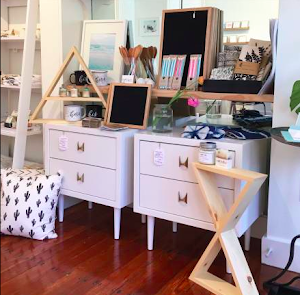 The top drawer has removable wooden dividers. 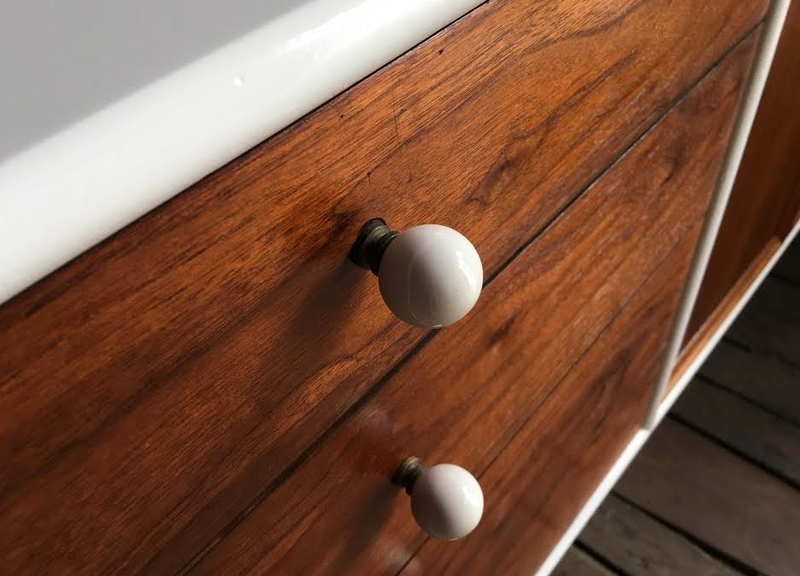 We restored all of the wood surfaces, and hand-painted the white outer shell. The painted finish is multiple coats of white Benjamin Moore Advance semi-gloss paint over primer. 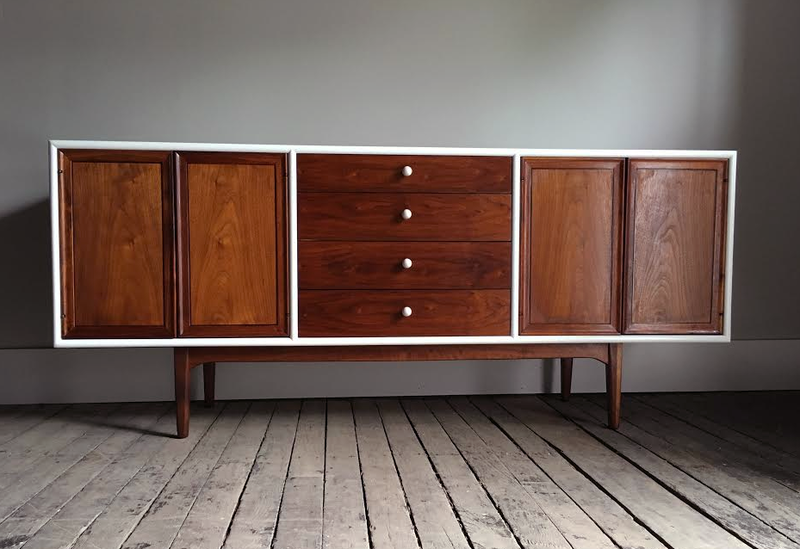 This piece measures: 72 1/2"W x 21"D x 31"H.